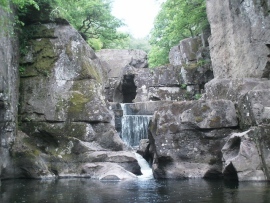 "Bracklinn Falls - geograph.org.uk - 1350996" by Thomas Stenhouse - From geograph.org.uk. 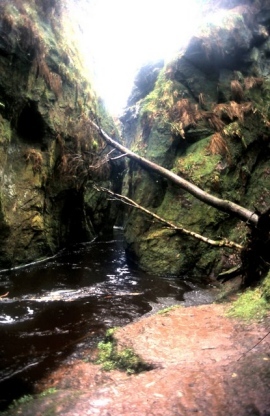 "Finnich Glen, Scotland's answer to the Grand Canyon^ - geograph.org.uk - 1126623" by ronnie leask - From geograph.org.uk. 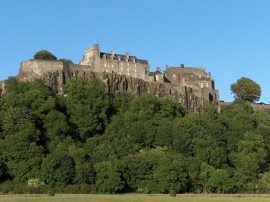 "Stirling Castle - geograph.org.uk - 192568" by Andrew Smith - From geograph.org.uk. 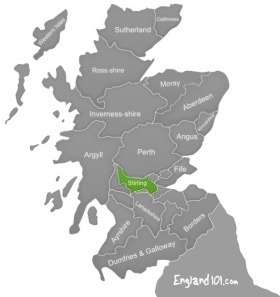 Stirling is the largest city in Central Scotland and was once the country’s capital. The city is clustered around a large fortress and medieval old town. 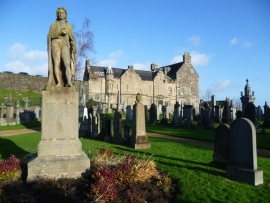 Highlights of the city include the famed Stirling Castle, complete with the Great Hall and Renaissance Palace; as well as the Church of the Holy Rude where King James VI was crowned King of Scots on July 29th, 1567. The church still hosts a Sunday service every week. Many rate Stirling Castle to be the number one attraction in the area, and it certainly dominates much of the skyline for miles around. The Renaissance architecture lures visitors in, and from here they are memorised by the views of the battlefields from the high stone walls. 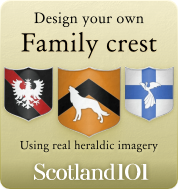 The Castle has been home to many generations of Scottish monarchs, including Mary Queen of Scots. The Argyll Sutherland Highlanders Regimental Museum is located within the Stirling Castle walls, and showcases a huge array of military equipment. The museum is laid out well, making it easy to clearly navigate around the artifacts and information about the Scottish regiment and Clan history. Entry to Argyll’s Lodging is free with a ticket from Stirling Castle. It is a short walk from the Castle and has seen many elite families living here over the years, providing an interesting insight into their lives. The 17th century townhouse has been reconstructed inside, furnished and decorated according to accounts of people at the time. 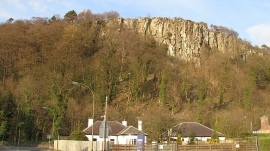 The National Wallace Monument stands on The Abbey Craig, just outside of Stirling city. It honours and remembers Sir William Wallace, who was the Patriot, Martyr and Guardian of Scotland. The tower tells stories about William (including the battle on the bridge) as you climb up 246 steps to reach the top, and are rewarded with spectacular views. The Falls of Falloch are beautiful, and perfect if you are looking for some nature to wash down all the history. Nearby Loch Lomond, this is literally a hidden gem. So much so people more often than not whizz by the turning and miss it. Located just after The Drover’s Inn, you need to follow the picnic sign after this. A short easy walk from the car, it offers great vantage points and picnic spots. 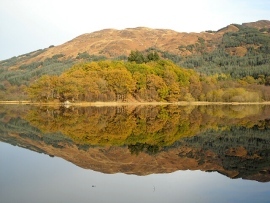 Rob Roy’s grave is found near to the falls, in a secluded spot near the village of Balquhidder. There is background information available, and a small fence surrounds the simple grave to mark the family plot.